First time pet owner? You probably feel over-the-moon about owning your first dog! But becoming a new dog owner takes great responsibility. Maintaining the health and safety of your newfound companion takes a lot of time, research, and dedication. You’re probably terrified of accidentally doing something wrong and hurting your dog. Not to worry! 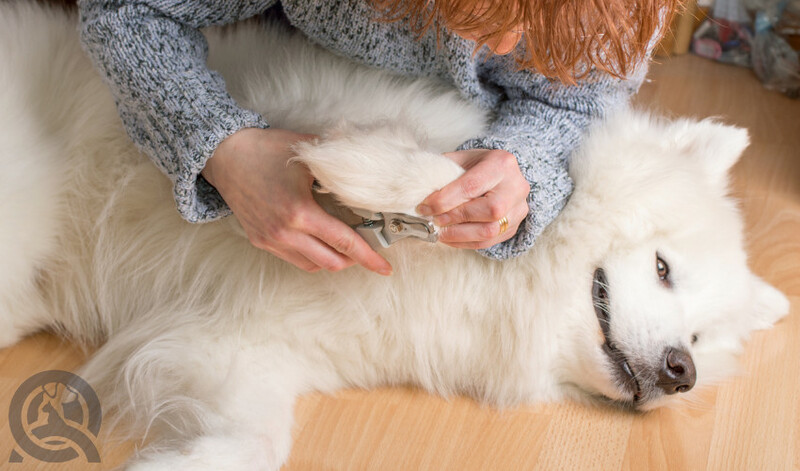 Here are just a few dog grooming tips to help you get started! When you’re completing basic grooms, you’ll want to have a few of these items. If you’re unsure about the size and type of equipment needed, ask a professional! 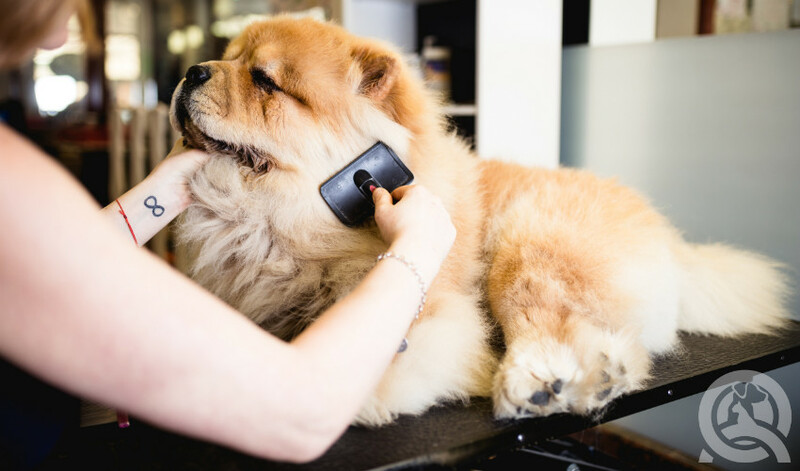 You can consult your vet and get your dog professionally groomed at least once before you tackle grooming. They’ll be able to identify your dog’s coat type, and shed some light on their sensitivities, allergies, and health conditions. Especially if it’s your first time, you may not be equipped to groom your pet if they have specific skin conditions. If there are significant scabs and/or infections, it’s best to see a vet so you won’t end up seriously injuring your dog! 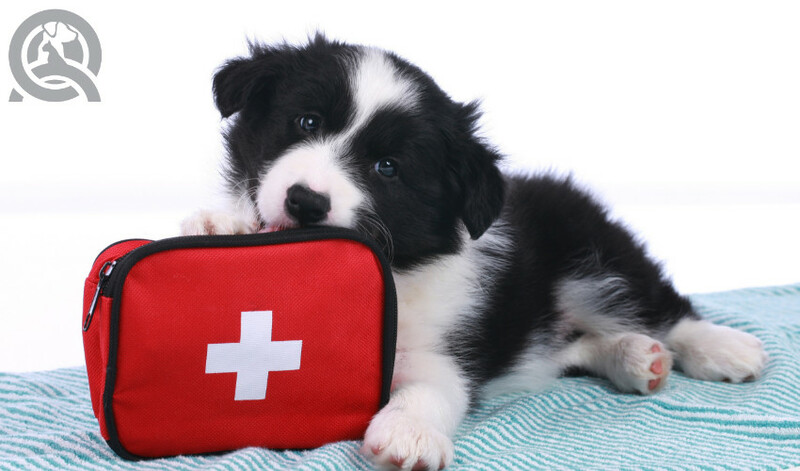 Speaking of injury, before we get into the nitty-gritty of at-home grooming, let’s talk about pet first aid. Emergency situations happen! No matter how many precautions you put in, you can never guarantee that something won’t go wrong. So you need to expect the unexpected. If you don’t want to learn how to conduct full-on doggie grooms, that’s fair. But as a responsible pet owner, it’s worthwhile to take a course on First Aid. You’ll learn about performing CPR, checking for vitals, treating minor wounds, dealing with heatstroke/dehydration, and more. This way, you’ll always know you’re prepared for the worst and be able to protect and help your canine companion. Brushing your dog’s coat removes excess hair. This is a lifesaver if you have a heavy-shedder. If your dog has a short coat, you won’t need to do it often. No matter the coat length, you’ll stimulate blood circulation and natural oil production to condition the coat. Ensure you choose the correct brush for your dog’s coat. Not sure which is best? Talk to your groomer! Get the rest of the body wet during a bath first before proceeding to the head. Use your hand to push back and away from the dog’s eyes and ears. Avoid getting water and soap into their eyes and ears. Use a teapot to rinse off any suds with precision! Do not bath the dog if they have any mats in their coat. The water can entangle the hairs further! 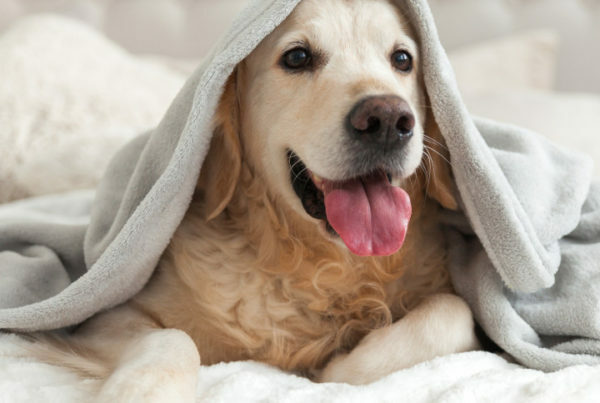 Ear infections are quite common in dogs! Trapped water in the ear canals is a common culprit, harboring bacteria. Save plucking and detangling ear hairs to the pros, but ensure that you use a cotton round to pat excess moisture off when you bathe your dog. A light mist can work for young puppies who need an introduction to the bathing process. Flea baths: choose a shampoo that’s recommended by your vet. Otherwise, ensure your shampoo kills both adult fleas and flea eggs. Flea shampoos are quite drying, so make sure you condition the coat right after! It’s actually painful for dogs if their nails are left too long! But it can be easy to cut the nail too short, leading to even more pain and even bleeding! Watch out for the quick. It’s a highly sensitive vein located in the widest part of the nail. It’s easier to spot under white nails than black nails since the quick is pink. But whether the nail is black or white, the quick is always located in the same place—before the curved, hook part of the nail. 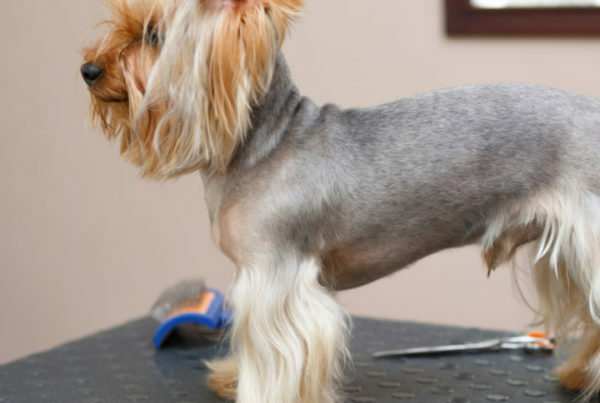 If you’re nervous about cutting it, it’s best to leave it to a professional groomer. Any anxiety will be sensed by your dog! Don’t forget the dewclaw— it’s located partway up the inside of a dog’s legs. If left untrimmed, a dewclaw will continue to grow and curl back around into the dog’s foot, causing pain and infection. Trim it as short as possible without clipping the quick. If you do trim the quick, apply styptic powder or gel to stop the bleeding. Just as brushing your own teeth cleans bacteria, plaque, and tartar to prevent gingivitis or gum infections, so too is it necessary for dogs. Look for long-handled toothbrushes with soft bristles to avoid irritating your dog’s gums. Since dogs can’t spit, they ingest their toothpaste. Buy specialty dog toothpaste—human toothpaste contains fluoride, which is dangerous for dogs! Brushing your pup’s teeth can be a daunting task. You could get bit if your dog doesn’t want you near its mouth! Try putting some toothpaste on a new chew toy—it’ll get the job done without sacrificing your digits! Fun toothpaste flavors in chicken or beef can make the whole process easier. Spot a tick? Put a drop of liquid soap to one end of a Q-Tip. Swab the tick a couple times, and lift it off. The tick should be stuck to the cotton end and come right out. No hassle! Having a hard time getting your dog settled? Reward them with some homemade dog treats! Sharpen your tools! The last thing you want is a snag or a painful, ragged cut of hair or nails. Got any other grooming tips you’d like to share? Leave a comment! 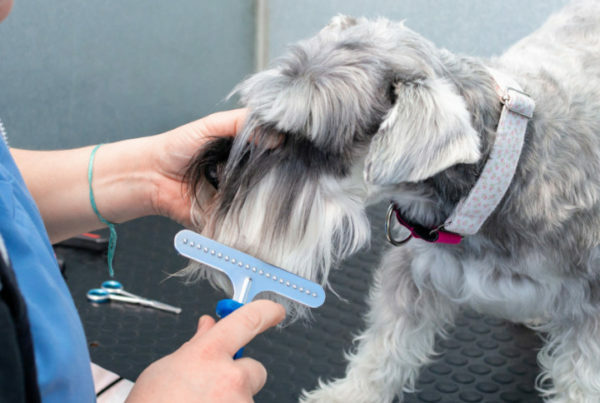 Think you know a thing or two about dog grooming? Test yourself with this quiz!